Oklahoma Connection | Born Donna Skinner in south Oklahoma City, her parents owned a neighborhood grocery store near Capitol Hill High School where Donna graduated in 1951. As First Lady of Oklahoma, Nigh felt strongly that the Governor's Mansion belonged to the people. She opened their entire home to the public every week, welcoming more than 200,000 guests. 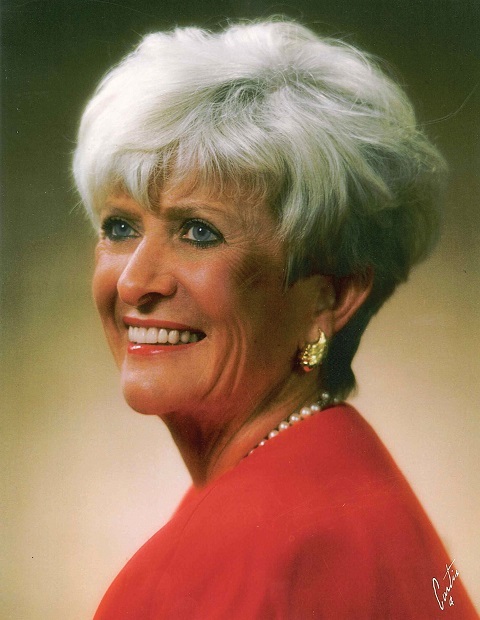 Nigh, former first lady of Oklahoma, was noted for political involvement in her husband’s career, but is also acclaimed for her commitment to Oklahomans with special needs and improving quality of life for those with developmental disabilities. She championed the establishment of group homes for developmentally disabled, modifying zoning laws to allow group homes in neighborhoods and increasing the number of sheltered workshops. This inspired the creation of more than 100 such homes in Oklahoma. As a surprise birthday present, friends created the Donna Nigh Foundation, the first statewide foundation for the developmentally disabled. In 1997, President Bill Clinton appointed Nigh to the President's Committee for People with Intellectual Disabilities. Honoring George and Donna Nigh’s services as president and first lady of the University of Central Oklahoma, the student union is named the George and Donna Nigh University Center. The University is also home to the Donna Nigh Art Gallery. In 2014, UCO honored her years of commitment to people with developmental disabilities by, for the first time in university history, naming a department, the Donna Nigh Department of Special Education. See pictures of Donna Nigh and other media HERE.